Fishing in Scariff and East Clare! There is nothing more amazing that taking a boat from the Harbour in Scariff and travelling along the shore of Lough Derg. One has to be on a boat to really experience the real wonders of what Scariff and East Clare waters have to offer. If it’s a day fishing you want well this ‘Anglers Paradise’ along the shore of Scariff and East Clare is where you should be. There is 40 lakes and rivers to choose from. Coarse fishing is the most popular form of angling with good catches of Bream, Roach, Rudd, Tench, Pike, Perch and Hybirds. Wild Brown trout can be found in Lough Derg and some mountain lakes. The largest pike ever recorded anywhere in the world, 90lbs, was captured here! You don’t have to be a member of a club to do a spot of fishing as there is plenty of experienced anglers in the area who will help you out with boats hire, Fishing advice and tackle, just give them a call. Boats for hire with or without 4hp engine, landing nets and life jackets. Liam Waterstone, Mountshannon, Co. Clare. Lorraine Tully, Lough Derg Holiday Houses, Whitegate, Co. Clare. Address: Ballygreen, Garraunboy, Killaloe, Co Clare. Address: Lough Derg Holiday Village, Killaloe, Co. Clare. Address: Thomas Bottcher, Mountshannon, Co. Clare. Ursula Quirke, Church Street, Killaloe, Co. Clare. Sean & Mary Fahy, Cappagh, Ballycrissane, Portumna, Co. Galway. PK & Mary Gleeson, Portland, Lorha, Portumna, Co. Tipperary. Treacy’s Fishing Tackle can supply Anglers with all their needs. Hand-made fishing flies are available on request and are especially popular during the May Fly season. The Service Station and Car Wash can supply the Angler and non-Angler alike with everything to keep them on the road. 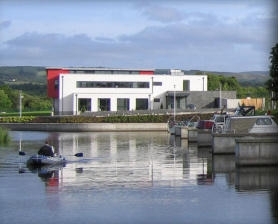 Lough Derg– Angling experts have described the waters of Lough Derg as ‘exceedingly rich’. The largest pike ever recorded anywhere in the world, 90lbs, was captured here. Lough Graney- is one of the largest lakes in East Clare. Its kidney shaped 200acres are set in scenic surroundings flanked by mountains, rolling hills and rich farmland. The lake holds good stocks of pike, an abundance of perch and some bream. Lough Bridget (Silvergrove)- is about 50 acres in size and is only one of a string of lakes which embrace the countryside of East Clare. The lake offers particularly good fishing for trench, and there are good shoals of Rudd, Bream, Pike, Perch and Hybirds. Kilgory Lough– is set in picturesque surrounding of wetland and bog land, flanked by heather filled hills. 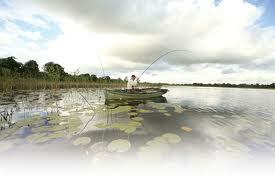 Kilgory is primarily a bream fishery and has good stocks of tench, rudd, roach, perch, and pike. Doon Lough– is about 100 acres in size and is located in typically Irish rural countryside about 3 kms from the village of Broadford. Good stocks of bream plus a smaller number of bigger fish tench, rudd, roach, perch, and good average size pike. Doon River (Owenagarney River)- The kilometre stretch from Doon Lough south west to the first bridge holds some bream, rudd, roach, hybirds, perch and pike.